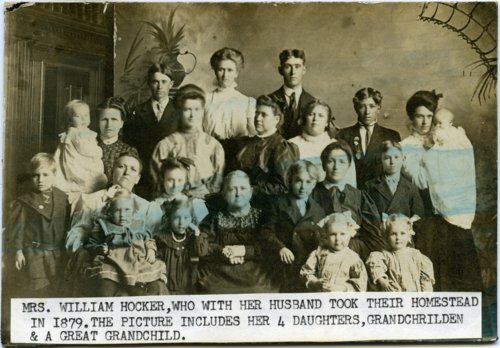 Two photographs of Mary Curtis Hocker and her family. Mary and her husband, William, homesteaded in the Rock Creek area of Wabaunsee County, Kansas, in 1879. William died of pneumonia in 1880.